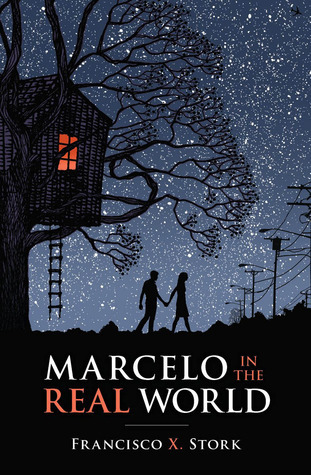 There are few literary characters I love as much as I love Marcelo. I routinely wanted to climb into the book and give him a hug, then protect him from all the evil in the world. But the best thing about Marcelo is that he always does the right thing. He doesn't need to be protected. He sees terrible stuff all around, and he becomes stronger and more awesome than ever. 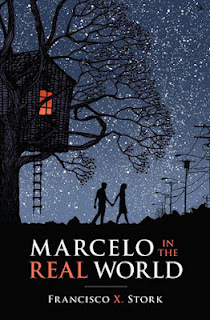 MARCELO IN THE REAL WORLD is kind of heartbreaking as he learns just how terrible the real world can be, but it's amazing anyway and ultimately hopeful. This is one of the most incredible books ever! I loved it so much. Thanks for the review, Meredith! I loved this book too. Marcelo has the wisdom and sensitivity of 'Forest Gump', another memorable character. Thanks! This truly is a very original book. I really liked it. Thanks for the review! !